The Multi-Purpose Crew Vehicle (MPCV) is a manned spacecraft being built by Lockheed Martin based on the Orion spacecraft designed and tested by Lockheed Martin for the now-abandoned Constellation Program. 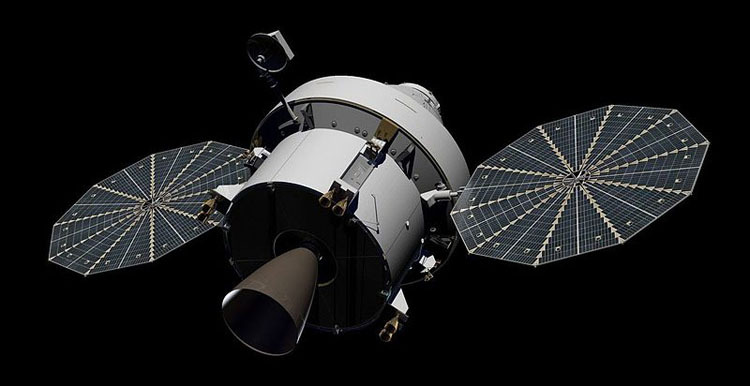 The Multi-Purpose Crew Vehicle (MPCV), announced by NASA on May 24, 2011, is intended to support crewed missions to an asteroid and, eventually, to Mars. It also being developed as a backup vehicle for carrying cargo and crew to and from the International Space Station. It will be launched by the Space Launch System, a Shuttle-derived heavy launch vehicle being designed by NASA followed the cancellation of the Constellation Program.